In many industries using feedstocks of biological origin, whether it's plants, agricultural waste or food industry waste, only a fraction of the feedstock material is converted into useful products. The rest is being burned or, at best, used as fertiliser. This wastes the chemical complexity and stored energy. 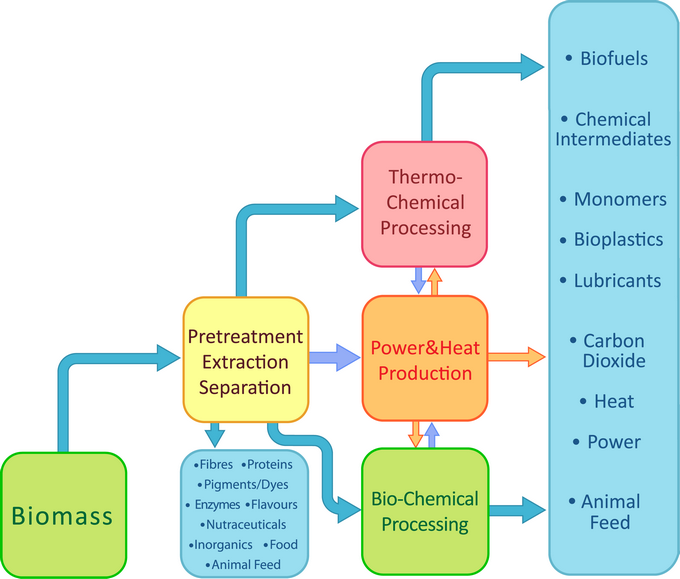 The concept of biorefining is to optimise the use of chemical complexity in biological feedstocks through a series of separation and transformation steps, leading to a range of products of different volume and value, such as food, fuels, chemicals, power and heat.